Using precise, high pressure water and an air vacuum, hydro excavation is a better way to complete a potholing/daylighting project. Once the water penetrates and digs through the soil, an air vacuums the dirt and then transfers it to a debris tank mounted on a truck. Depending on the project, the truck can either be located near or far from the excavation site. In the past, projects needing potholing, trenching, etc. were done with traditional methods of heavy machinery and hand shoveling. Potholing, also known as daylighting, is a process for digging a test hole so as to expose underground facilities. Once exposed, the facilities need to be inspected for leakage, cracks, or other damages. Potholing in the past was traditionally done using a backhoe or by hand shoveling. Heavy machinery not only brings a safety risk, but also can cause costly mistakes by puncturing or snapping utilities. Hand digging is very intensive and takes too much time and labor to effectively complete the job. Also, with hand shoveling, back-filling is usually needed after the excavation. This costs more money, time and labor. The hydro excavation process is a more accurate way to complete potholing/daylighting projects. With better accuracy, there is less chance for down time, injury, or restoration using this method. Injury becomes non existent when using this method of excavation because there is no risk of collapse or getting hit/ran over with heavy machinery. Time saving, cost effective, and environmentally friendly, hydro excavation is ultimately a better choice versus traditional methods. Companies specializing in hydro excavation should provide a team of experts that are well trained and practice proper safety practices regarding hydro excavation. 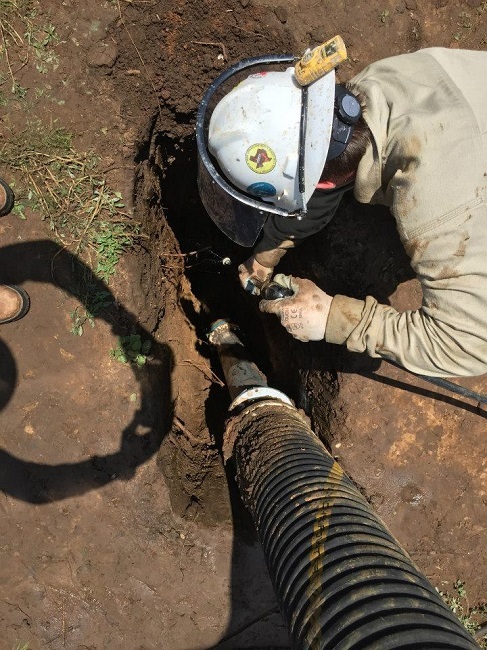 At 4 Warrior Hydro Excavating, we have the tools, expertise and experience to get the job done so you can focus on your whole site. Contact us here to let us help you get your project completed safely and on time. Call or submit our online form to request an estimate or for general questions about our hydro excavation services. We look forward to serving you! 4 Warriors Hydro Excavation is currently seeking experienced CDL Operators and Techs in both our South and West Texas locations.